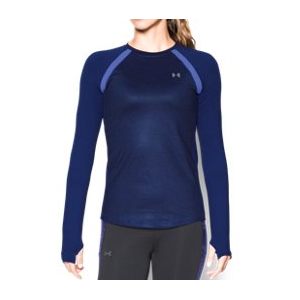 Under Armour Women's ColdGear Jacqrd Long Sleeve Dual-layer fabric with an ultra-warm, brushed interior & a smooth, fast-drying exterior. Ribbed shoulder insets. Material wicks sweat & dries really fast. 4-way stretch construction moves better in every direction. Anti-odor technology prevents the growth of odor-causing microbes. Raglan sleeves. 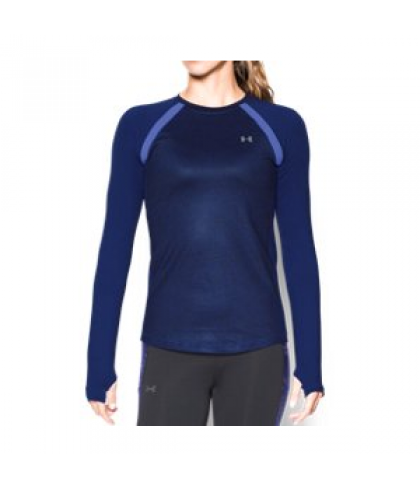 Thumbholes keep sleeves secure & help seal in your body heat. Shaped, drop-tail hem offers superior back coverage. Rolled forward side seams.